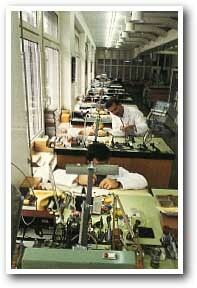 Here about 10,000 watches, coming from around the world, are repaired by expert technicians. There are full fledged experienced watchmakers tackling ordinary repairs as well as complete restoration from old pocket watches to early and current quartz model wrist watches. 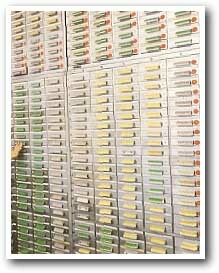 Under the same administration as the “service department” run by a very capable manager, Rene Schwarz, a master watchmaker, the “parts department” is responsible for maintaining an adequate supply of all movement and case parts for at least 15 years after each model has been manufactured. Interestingly though, IWC sometimes generously keeps parts for more than 30 years to assure old time customers long lasting satisfaction. 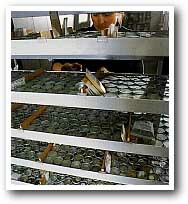 Parts are shipped out each day to “factory authorized agents” around the globe.